D1000-SS Autoclave Hoses – Stainless Steel | DE-COMP Composites, Inc.
SKU: D1000-SS. Category: Autoclave Hose. 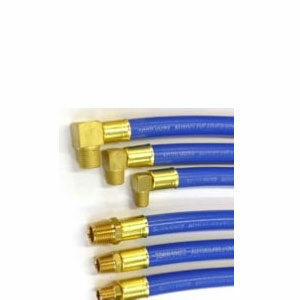 D1000-SS is a 3/8″ ID, all stainless steel hose. There is no need for a steel liner with this hose, because the hose itself can take full vacuum. Maximum continuous use temperature is 1000°F/538°C, and maximum autoclave pressure is 1000 psi. The D1000-SS comes standard with a straight, 1/4″ npt male fitting on each end and in any length that is required. 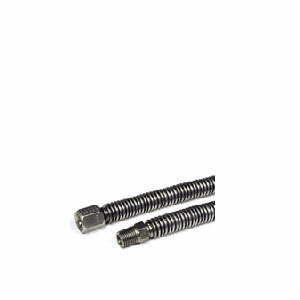 Available alternate end fittings are 1/4, 3/8, 1/2 inch female JIC.